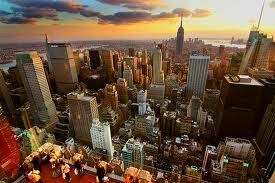 DO WE HAVE DEDICATED SALES RECRUITERS FOR NYC? While now headquartered in Northern NJ, our roots and idea of this specialized business began right in the Upper East Side of NYC. Occasionally, companies will still ask us if we have Sales Recruiters for NYC, and our answer is a resounding, “Yes, and they include the most coveted Sales Reps in all of NYC’s five boroughs (Manhattan, Queens, Brooklyn, Bronx & Staten Island). It’s where we pioneered the specialized Sales Recruiting industry almost two decades ago.” So, please make no mistake when it comes to our New York City Sales Recruiters, and their success rate in getting companies the most coveted Sales Representatives for this money hub of the world. Interesting Fact: Our founders cite the awesome sales energy in New York City (where so many companies needed the best sales reps from their sector) as the inspiration for founding a specialized Sales Recruiting Firm. Within the last decade (aside from NY, NJ & CT), we have expanded our vast esoteric network to include Sales Recruiters in other significant metropolises such as: Boston, Houston, Chicago, Denver, Atlanta, Charlotte, Dallas, Seattle, Phoenix, San Francisco and Los Angeles. Don’t hesitate to contact us if your target is in these cities, or anywhere else in the United States!